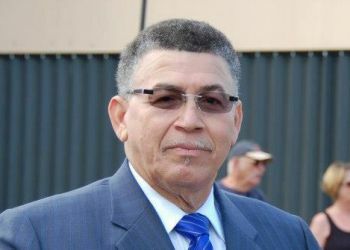 Former Cayman Islands Premier McKeeva Bush has been found not guilty of 11 charges of misconduct and breach of trust. Bush was cleared by a Cayman Islands jury of all 11 charges on Thursday afternoon. The seven-member jury deliberated for a single day. The central charge in the case involved the alleged withdrawal of money in casinos in Tampa, Fla, Las Vegas and Nassau against a government-issued credit card. Bush had been arrested at the end of 2012 on the aforementioned charges. That led to a chain of events that saw Bush leave office after a motion of no-confidence against him passed 11-3 in the Legislative Assembly. Juliana O’Connor-Connolly was soon named Premier of the Cayman Islands, and the territory soon held elections that saw Alden McLaughlin take over as the territory’s new Premier. Bush ran and won in that election, winning a seat in the West Bay District constituency. Throughout the period, Bush maintained his innocence and denied any wrongdoing, eventually vindicated in a George Town court on Friday. Bush was helped in the case by Geoffrey Cox QC, William Frain-Bell, Ramon Alberga QC, Michael Alberga and the firm of Travers Throp Alberga. “I am very grateful to the jurors who carefully listened to the evidence and after due consideration saw clearly that I had done nothing wrong,” Bush said in a statement. “We need to re-establish the partnership between the Cayman Islands and the United Kingdom which existed on the basis of mutual trust, cooperation, clarity of purpose and I stand ready and willing to participate in that process,” he said. The British. Never ceases to amaze.